Every year we have an Easter outreach in the public park near our church. The kids gather for singing, games and a Gospel presentation. The event ends with a huge, for Japan, egg hunt. This year we had over 100+ participate, not including the 20 staff from the church. 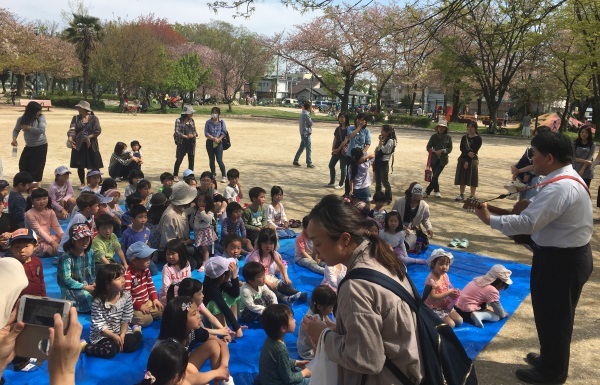 We are so encouraged by the growth we are seeing at Shiga, especially more and more kids participating in Sunday School. Two years ago we were consistently having five kids, four Pastor’s kids, attend, but now we see regularly between ten and fifteen. Pray for all the seeds the ministries are planting in the hearts of these kids!